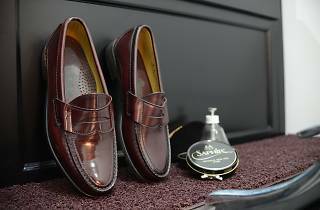 Leather shoe polishing has taken up shop at The Arcade in the form of The Shoeshine Redemption. You can either drop off your shoes or sit down and have your tips polished while feeling like a flaneur. 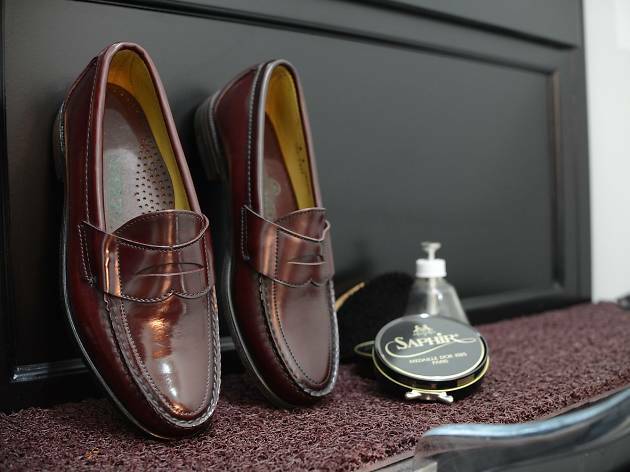 Using Saphir products from The AVEL Company, the shoe shining service comes in two packages. There's the standard ($10) cleaning, conditioning, and wax and premium ($15) which includes removing the laces and cleaning, conditioning, shoe cream, wax, and edge dressing. They are an express, no-frills service so you can expect to be up and going about your day 8-15 minutes. The Shoeshine Redemption accepts cash only.